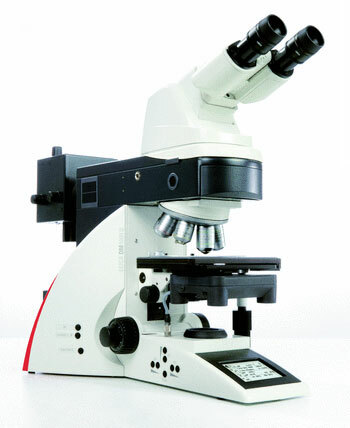 Compatible with a variety of user-friendly software packages and camera systems, the Leica DM4000 B is the ideal microscope for life science research and clinical applications. It’s Intelligent Automation features include a coded 6x or 7x nosepiece, manual z-focus, and fully automated transmitted- and fluorescence axis. All settings are saved and displayed to provide reproducible results. The Contrast Manager supports the transmitted light (brightfield, darkfield, phase contrast and polarization contrast) and fluorescence contrast methods. It allows the user to switch from one contrast method to another with one push of a button. Based on the selected objective, all necessary adjustments are automatically done.